Sunset Painting Contractors is a third generation, full service painting firm specializing in custom residential and commercial painting. We have been servicing the Sacramento Region since 1959 and continue to be a leader in the industry. Our state of the art products, processes and applications ensure our clients receive the highest level of quality available. Call us today to get a free quote for your next painting project. If you are only going to do one thing – PAINT! Interior/exterior painting is one of the very few improvements on which you are likely to realize a profit – as long as you choose tasteful, current, neutral colors and the work is very professional. To select more than one option, hold the CTRL key and click. We are RRP certified! Your pre-1978 home may contain lead paint. You will benefit from hiring an RRP certified painter to protect your family and home from lead dust. 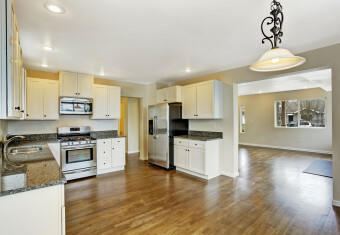 We have done 2 large remodels on two separate homes. 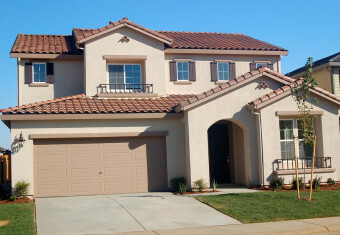 We contracted with Sunset Painting both times to do both the interior and exterior painting. They did an amazing job in a very timely and efficient manner. They were completely professional and it was a pleasure working with the crew as well as the owner Ron. Thank you for making what could be a stressful process – pain free! We have worked with Ron Sherwood of Sunset Painting on many painting projects. His knowledge and expertise about products and different paint applications is very impressive.